Man, this commercial kind of freaked me out as a kid. Do you remember it? 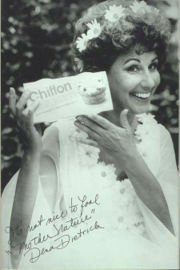 Do they even still make Chiffon margarine? Chiffon margarine no longer lines the dairy aisle in U.S. supermarkets, but it can still be found at supermarkets in the Caribbean (specifically Trinidad and Jamaica).